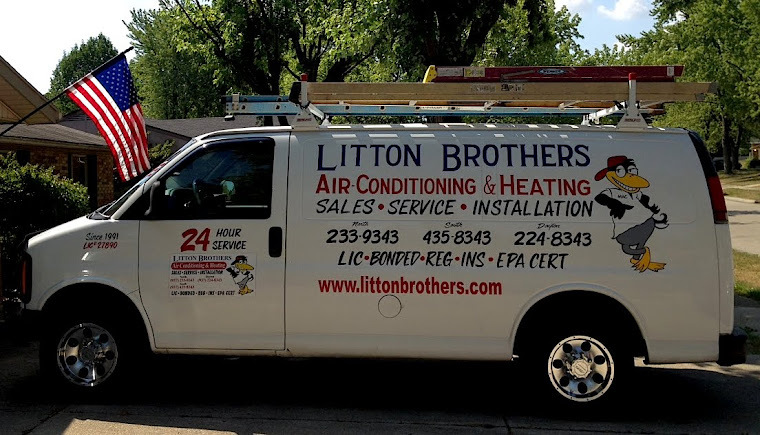 LITTON BROTHERS AIR CONDITIONING & HEATING DAYTON, CENTERVILLE, HUBER HEIGHTS, KETTERING: LET LITTON BROTHERS AIR CONDITIONING & HEATING IN DAYTON INSTALL YOU A NEW RHEEM 98-PERCENT EFFICIENCY UNIT TODAY! 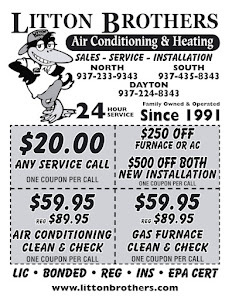 LET LITTON BROTHERS AIR CONDITIONING & HEATING IN DAYTON INSTALL YOU A NEW RHEEM 98-PERCENT EFFICIENCY UNIT TODAY! Another stellar job by Litton Brothers Air Conditioning & Heating in Dayton! If you're looking for the best, most efficient equipment on the market, call Litton Brothers Air Conditioning & Heating in Dayton today! Litton Brothers will install a Rheem 98-percent efficiency unit in your home at an affordable price. Yes, we said 98-percent! Litton Brothers has been serving the Dayton area with A+ service (according to the Better Business Bureau) for nearly 25 years, so you can trust them over the rest. Right now, Litton Brothers is also offering their quality clean and check services for just $59.95 — $30 off the regular price. Don't let this great deal pass you by!